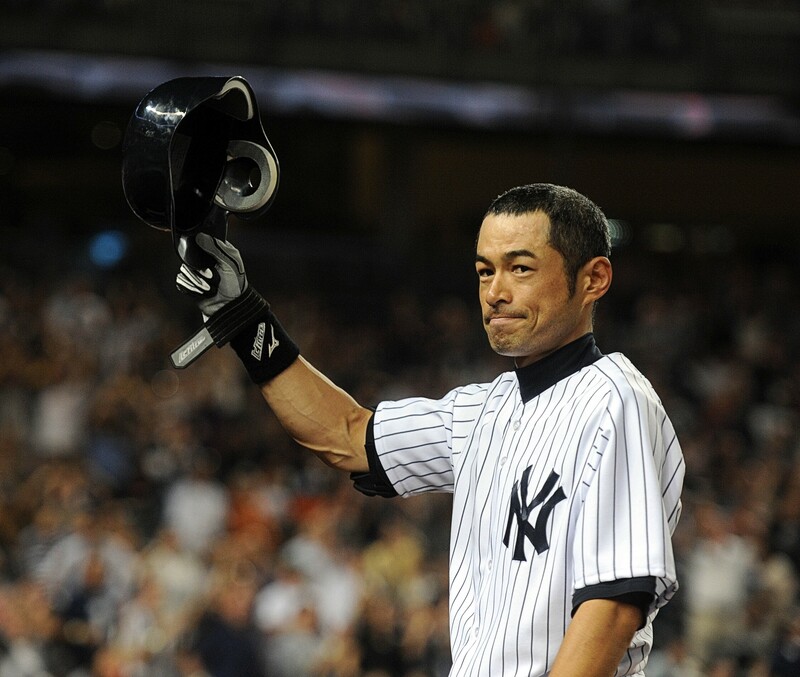 The New York Yankees' Ichiro Suzuki takes a curtain call after his second home run of the night, in New York, Aug. 19, 2012. Suzuki, the unique and pioneering superstar who amassed 4,367 hits in 28 professional baseball seasons across two continents, announced his retirement in Tokyo on March 21, 2019, concluding one of the most remarkable careers in the history of sports. And with the final out in Seattle’s 5-4, 12-inning win over Oakland, Suzuki’s career as a player ended in the country where it began. His retirement was not entirely a surprise, considering Suzuki is 45 and had been decommissioned as a player by the Mariners early last season. But when he was removed from his position in right field by Seattle manager Scott Servais before the bottom of the eighth inning, the fans stood and chanted, “Ichiro, Ichiro,” to salute one of the most talented and dedicated players the game has seen. All of the Mariners’ position players departed the field so that Suzuki would be the only one on it, and he waved to the fans as he trotted off the field before hugging each of his teammates. Several Mariners teared up, including Yusei Kikuchi, a Japanese pitcher making his major league debut for Seattle. Known for his strict regimens and year-round routine of stretching, conditioning and taking batting practice, Suzuki had at least 200 hits in each of his first 10 major league seasons, including 2004, when he set a record with 262. He won two batting titles, was named to 10 All-Star teams and won 10 Gold Glove awards as he dazzled fans with his powerful and accurate arm from the outfield. Over parts of 19 seasons in the United States, he compiled 3,089 hits.